New Delhi: The Archaeological Survey of India’s (ASI’s) 2003 claim that there is evidence of a temple under the Babri Masjid doesn’t enjoy consensus, even among members of the group that conducted the dig. 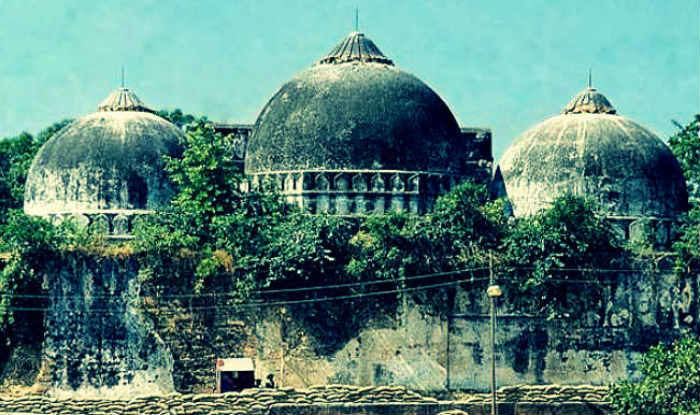 The ASI submitted its 574-page report on the matter to the Allahabad high court in August 2003, saying proof had been found of a massive structure just below the demolished Babri Masjid. The Sunni Waqf Board, a party to the Ayodhya title dispute case, had said then that the ASI’s report was “vague and self-contradictory”. Two archaeologists, Supriya Varma and Jaya Menon, had observed the ASI’s excavations on behalf of the Sunni Waqf Board. In 2010, the wrote a paper in the Economic and Political Weekly detailing why they had objected to the ASI’s results, and the subsequent Allahabad high court judgment in September 2010. According to the article, the duo had objected to various practices the ASI was following during its dig, which made “it clear that there was already a preconceived idea in the minds of ASI archaeologists”. It has now been 26 years since kar sevaks demolished the Babri Masjid in Ayodhya on December 6, 1992. In the run-up to the 2019 Lok Sabha elections, the Hindutva right-wing is pressing for the construction of a Ram temple at the disputed site, even before the Supreme Court has given its verdict. Varma has also told Huffington Post that the ASI used three pieces of evidence – all questionable – to say that a temple had existed at the site. Varma also spoke about older excavations around the Babri Masjid area. The first was in 1861 by Alexander Cunningham, the first director-general of the ASI. He had, she claimed, mentioned three mounds in Ayodhya, two with some sort of Buddhist stupas and one with a vihara. While he banked on oral narratives that indicated some temples in the area had been destroyed, Varma says there was no mention of that in his report. The second excavation was conducted in 1969 by the Department of Archaeology of the Banaras Hindu University, in the vicinity of Babri Masjid. Though few records from this excavation have survived to this day, they apparently concluded that the area had been inhabited in the early historic and the medieval periods. Between 1975 and 1980, B.B. Lal, the then director-general of the ASI, revived the project. Lal’s work is significant in the history of the area, even though his initial report did not add much to previous work. By 1988, the [Vishwa Hindu Parishad] had picked up this whole issue of temples having been demolished at three sites – Ayodhya, Mathura and Varanasi. In [that year], B.B. Lal took a photograph of pillar bases, which he said was taken and excavated at Ayodhya between 1975 and 1978, and published it in Manthan, which is the [Rashtriya Swayamsevak Sangh] journal. He also presented the photograph at the World Archeological Congress in Croatia, saying that if excavations were to be carried out, they would find evidence of a temple. Lal’s assertions helped the BJP create a large-scale political movement out of the Babri Masjid monument, and in 1992, the mosque was demolished. In 1999, after the National Democratic Alliance assumed power, the topic of excavation became big again, according to Varma, and the Allahabad high court ordered the ASI dig in 2002. If you read the entire report, there is no mention of any temple. It is a standard report. …What is missing is a chapter on bones and human skeletal remains. That is what they also found but they never published it. What you will also find is that the names of the people who wrote those [other] chapters is mentioned. But in the conclusion, there is no name mentioned. And in the conclusion, in the last paragraph of the report, they say that given the evidence of this western wall, and pillar bases, and some architectural fragments, there was a temple underneath the Babri Masjid. It is literally written in three lines. Otherwise, nowhere in the discussion, is there any talk of a temple being found. With the same evidence, we have interpreted that there were actually two or three phases of smaller mosques underneath the Babri Masjid.